Fun with HOT102 – HOT102, Milwaukee's Party Station for Old School! We’ve shown up occasionally in cool and fun places, and HOT102 former staffers sometimes join us! 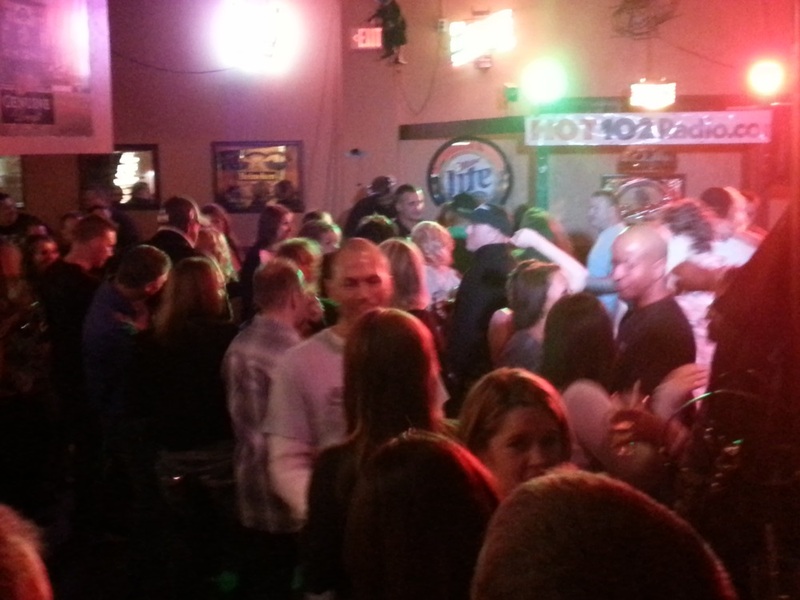 We had a blast at Trysting Place Pub in Menomonee Falls when Fresh G spun live, with DJBigRon Helmick and Brian Lipski spinning, too. 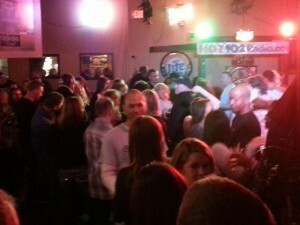 Over 200 of our friends, listeners, and some confused folks all danced, partied, and had a blast. 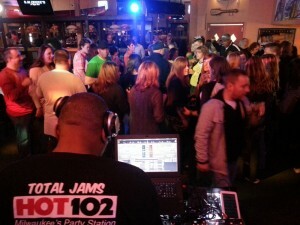 Interested in having HOT102 jam your party?? Contact us! 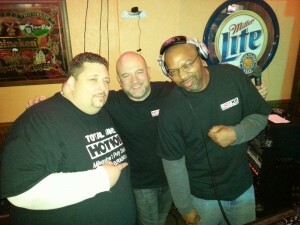 Big Ron, Brian, and Fresh G bangin’ out the jams at our HOT102 dance party. Fresh G busy on the turntables while sporting his HOT102 shirt; the crowd was dancing up a storm. Happy winner of Bucks tickets! 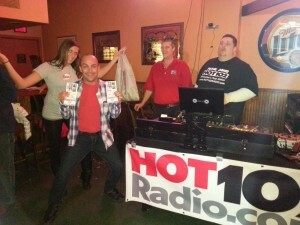 Hey, see the cool HOT102 t-shirts some of these guys are wearing? You can get one too!